Come join us for a 12 week indoor archery league. We have all new bag targets for your shooting pleasure. This is a fun league for all ages, all skill levels. 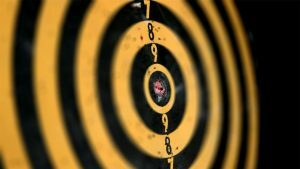 If you are new to archery or just want to brush up on your shooting techniques, this league is for you. We will have staff on hand to help you at whatever level you are currently shooting at. Practice for hunting,or competition, or just for the fun of it. 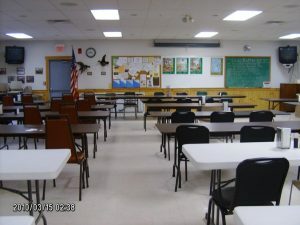 Lone Pine Hunters Club, Inc., unless members are otherwise notified, meets monthly on the second Wednesday of each month at the Lone Pine Hunter’s Club Clubhouse.‎ Meetings start at 7:00 p.m. The meeting starts at 7pm sharp, the meeting includes minutes of the previous meeting, treasurer’s report, old business, new business, and introduction of new members and guests. The club also has regular monthly drawings and “Membership Attendance Drawing” held at the end of the member meeting. At each meeting there is an opportunity to participate in several drawings. Money generated by these drawings is used to support the club, improve the number and quality of member activities, and to benefit the community. The “Membership Attendance Drawing” is only open to members in good standing who are present at the time of the drawing. All other drawings are open to both members and guests. The Indoor League Starts Monday, January 7th from 4pm til 8pm. and runs for twelve weeks. Things are off to a great start. Come join us for some friendly competition and lots of fun. This is one of the best things to do this winter. We also serve some meals for a few dollars. 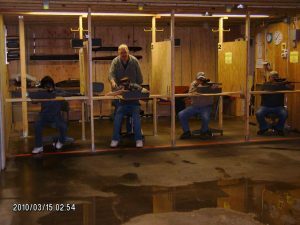 Indoor pellet shooting area is located on the back side of the club in the basement. The groups are defined as males 16 years & up, female 16 years & up, youth is 8 to 15 years. Please note that we do have spare pellet guns as loners for anyone that would like to try shooting for the first time. Instructions are always free. Come give it a try, you will have fun.